Before downloading the application please read the Terms and Disclaimer policies below carefully. 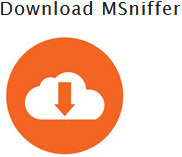 - MSniffer app is free to download, and because of that you are not allowed to charge anyone for services done with it. - (For Windows and Mac users) You are not allowed to modify any of MSniffer's installation files which can change its function. However if you are interested to join our developers team and help upgrading the app, feel free to contact us regarding this. - This cell phone tracker application should be use for personal and educational purposes only. Note: Older version such as v.1.0. and v.1.1 will no longer work and any further updates have been closed. So please get new version by clicking the download button. Latest App Update: April 17, 2019.